I have tried to perfect this chocolate keto cheesecake recipe quite a few times, but didn’t have the patience to photograph it every time because… #momlife. So forgive me, but the pictures don’t completely reflect the final recipe. BUT, the final version is better and it’s amazing and delicious. So try it! I promise you will be glad you did! Also, the entire thing is not chocolate but it has a chocolate flavor because of the chocolate parts. 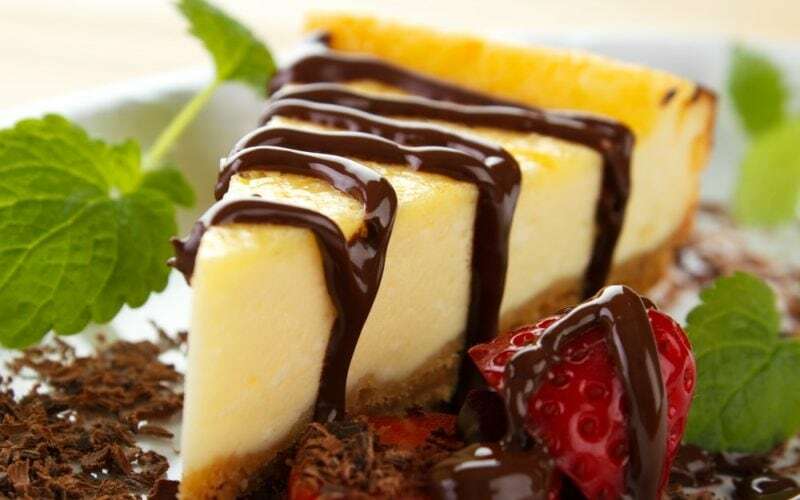 But this is not a brown, chocolate cheesecake. Preheat oven to 325F and butter a 9-inch pan. Melt butter and chocolate together over low heat in a small saucepan, whisking until smooth. In a small bowl, whisk together almond flour, cocoa powder and salt. In a large bowl, beat eggs, Swerve and vanilla until smooth. Beat in almond flour mixture, then butter/chocolate mixture until smooth. Spread evenly over bottom of pan. Bake 12 to 18 minutes until set around edges but still soft in the center. Let cool 15 to 20 minutes. In a large bowl, beat cream cheese until very smooth. Beat in eggs, Swerve, cream and vanilla until well combined. If it’s not completely smooth, it will come out chunky and have a gross texture. 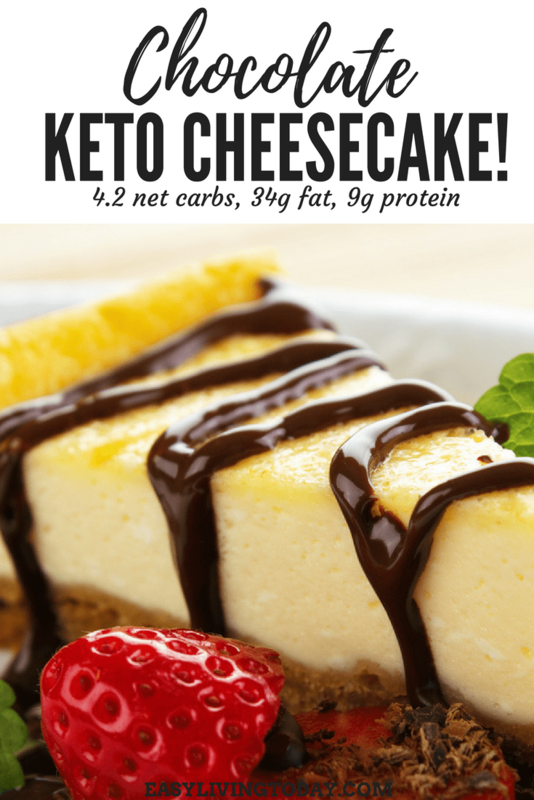 Serve with Choc Zero chocolate syrup on top, this is a keto friendly syrup.